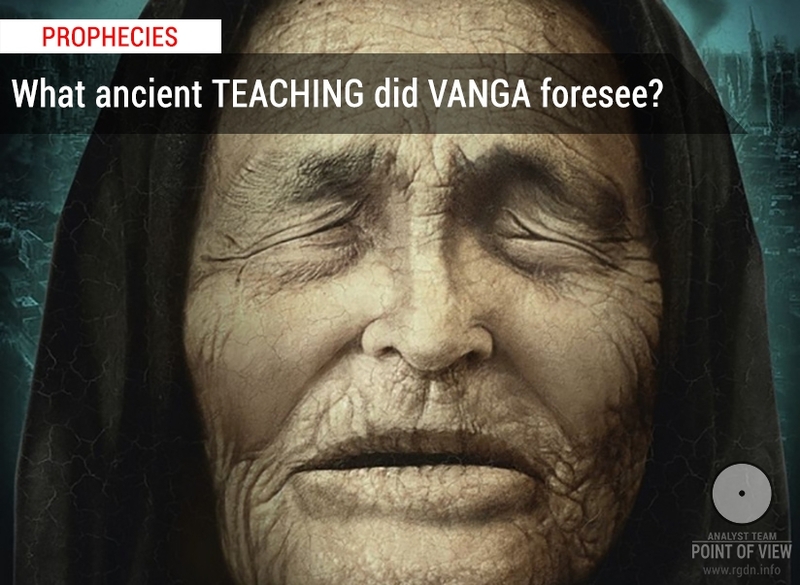 So, we now refer to Vanga, one of the most famous clairvoyants of the 20th century, whose phenomenon still remains an unsolved mystery for official science. Trying to cover the material promptly, we’ve come to realize that recent mentions of her in mass media and the internet are rather associated with various speculations on her name and mostly present falsifications. 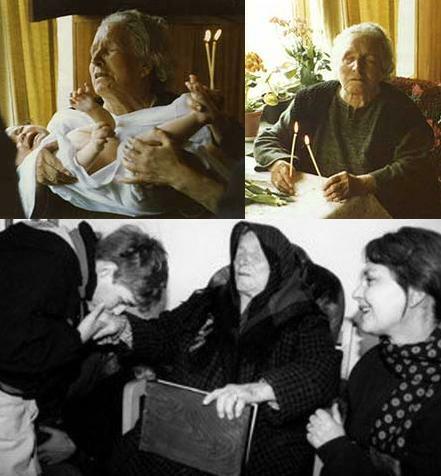 Despite numerous documentaries shot after Vanga’s death, we believe the most probable trustworthy sources of information about her are The Truth about Vanga book by Krasimira Stoyanova and direct participants of personal meetings with the clairvoyant, whom there were very, very many, according to the aforesaid book and relevant articles in such editions as Arguments and Facts and Komsomolskaya Pravda. It should certainly be mentioned that most information contained in contemporary yellow press, on newspaper headings and internet banners are mere falsehood. Thus, journalists simply use the clairvoyant’s name to raise their circulations and attract visitors to their websites. 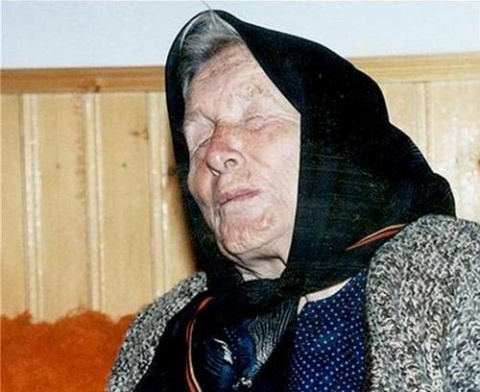 After Vanga’s death plenty of documentaries have been filmed, and dozens of books have been published; however, it’s quite hard to tell where there is truth and where there are lies. 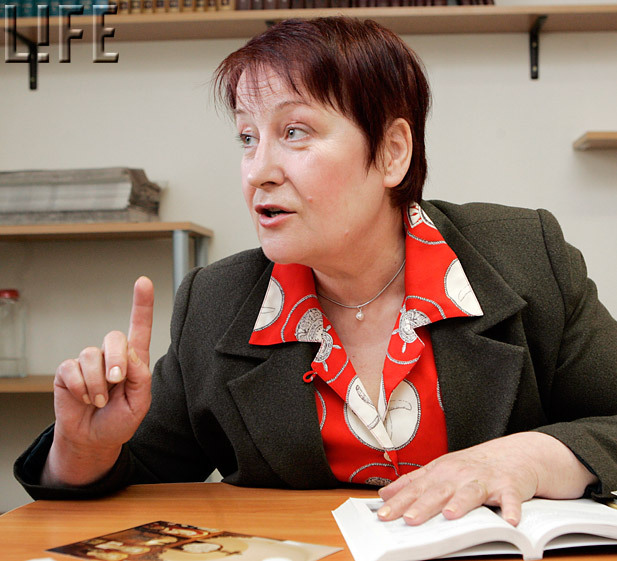 Therefore, let’s rely on recollections of Vanga’s niece Krasimira Stoyanova and some other more or less reliable sources. 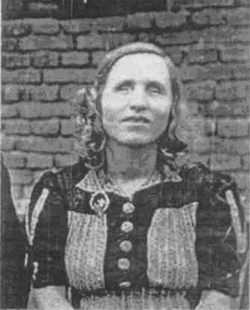 Brief historical note based on Wikipedia data: Vanga (Vangelia Pandeva Gushterova, maiden name Dimitrova; born on 31 January 1911 in Strumica, the Ottoman Empire, died on 11 August 1996 in Petrich, Bulgaria) was a blind Bulgarian mystic thought to possess a foresight gift. 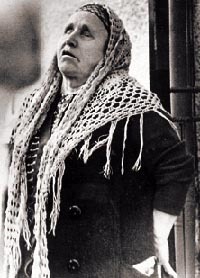 Born in a poor Bulgarian peasant family, she spent most of her life in the town of Petrich located at the junction of three country borders (Bulgaria, Greece, and Macedonia). 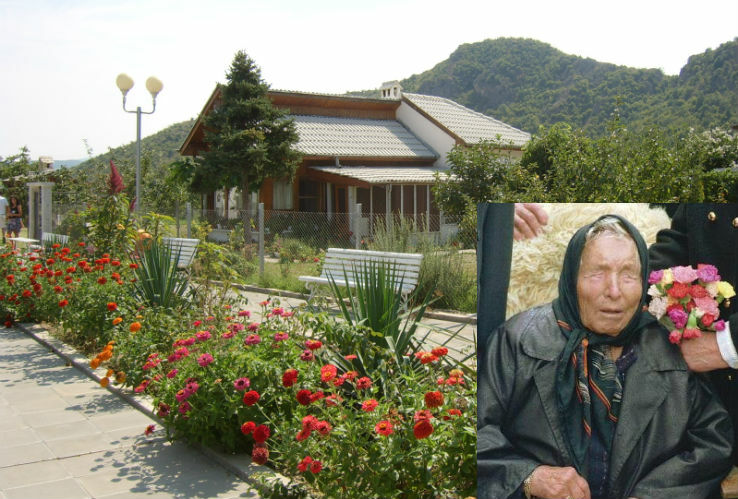 During the last 20 years of her life, Vanga received visitors in the village of Rupite. 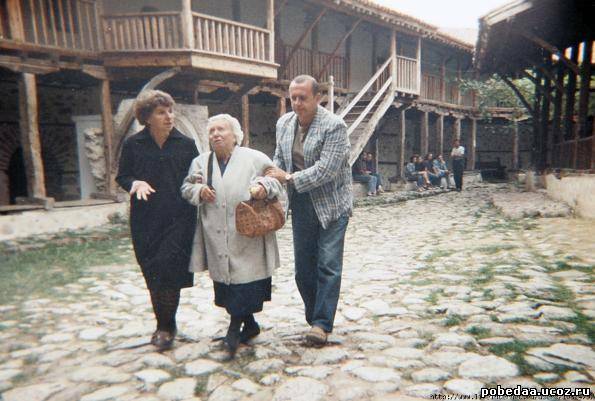 In 1923 Vanga, together with her father and stepmother, moved to Novo settlement in Macedonia where her father had been born. There, at the age of 12, when she and her cousins were walking home, Vanga lost her eyesight due to a tornado that lifted her up and threw her in a nearby field hundreds of metres away. She was found only in the evening, covered with branches, with her eyes full of sand and dust. 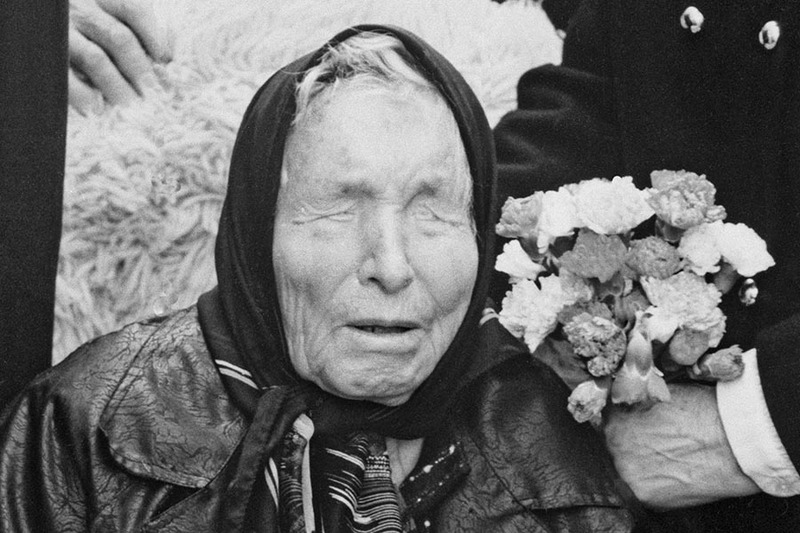 Her family could not afford treatment, and so Vanga eventually turned blind. 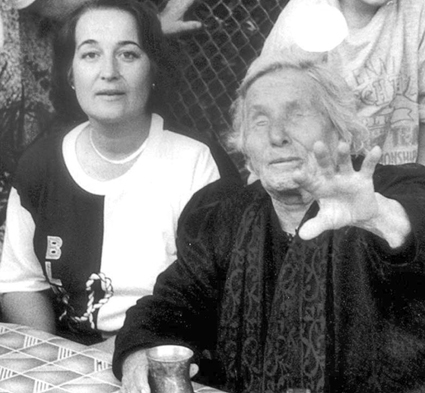 In 1925 she was brought to a school for the blind in the city of Zemun, Serbia, where she stayed for three years, having learnt to cook, knit and read Braille. 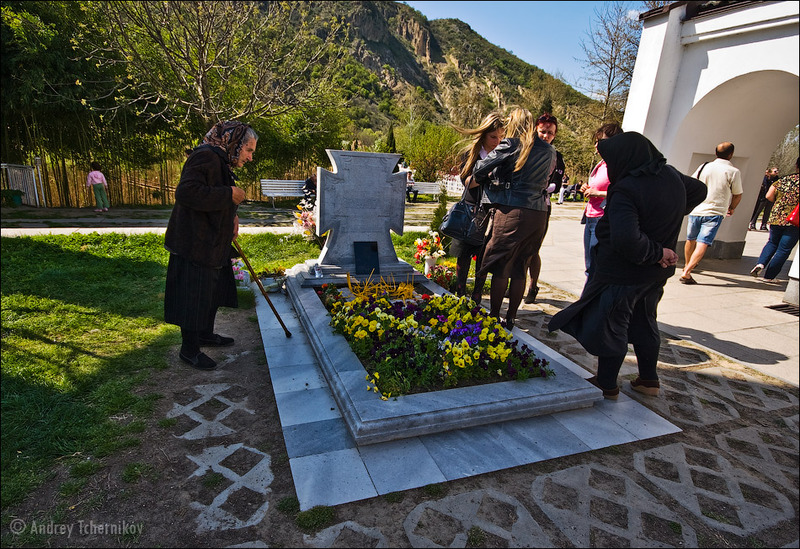 After her stepmother’s death, because of a difficult family situation she returned to her father’s home in Strumica. After such a solid introduction, let’s proceed to predictions of events foreseen by Vanga for the nearest future. In particular, we cannot be indifferent to specific words she said about the advent of the Most Holy Spirit times and the ancient Teaching. ...humanity will go through numerous natural and social cataclysms and stormy events. Human consciousness will gradually change. Hard times will come; people will be divided by faith. A very ancient teaching will be brought to the world. I am asked: “Will this time come soon?” No, not soon. Syria has not collapsed yet! TheAnointed Sovereign in white clothing will come to the Earth again. Soon those selected will feel with their hearts that Christ has returned. First, he will appear to Russia and then to the entire world. We still don’t understand why Vanga called it the White Brotherhood’s teaching. Why exactly White, and why the brotherhood? The Fiery Bible is definitely the AllatRa book (it can be easily downloaded from the internet for free). 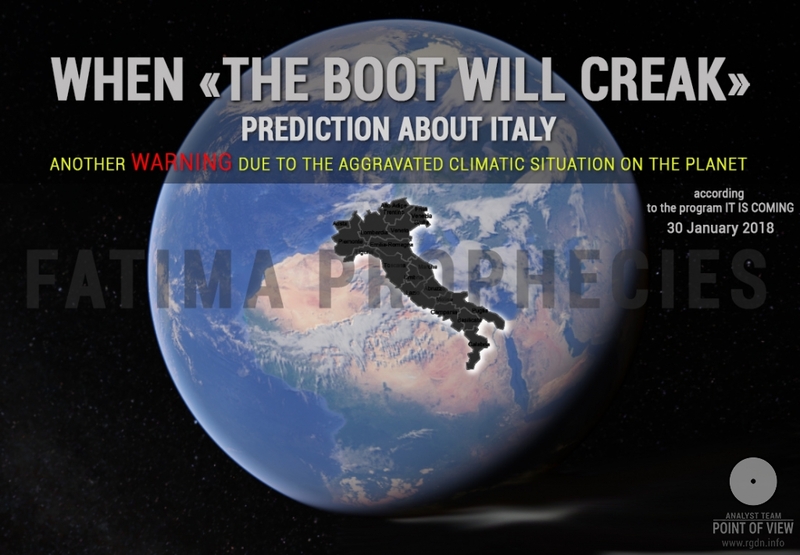 ”It will spread all over the world”: according to our observations, this is already happening. 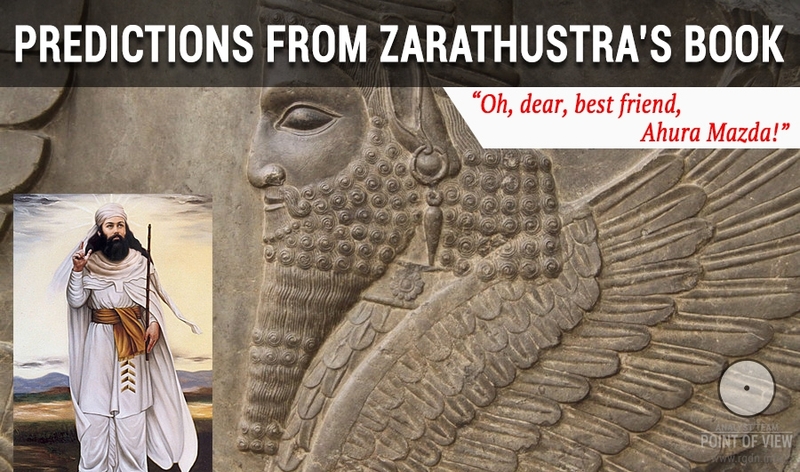 ”All religions will disappear”: in our opinion, this is totally logical, for their words are nearly dead! What is the sense of contemporary religions, if their representatives split “the single whole into parts” and spend ages defending their authorship privileges? “The new teaching will come from Russia”: this is what we so far don't fully grasp, for everything points to Ukraine territorially. 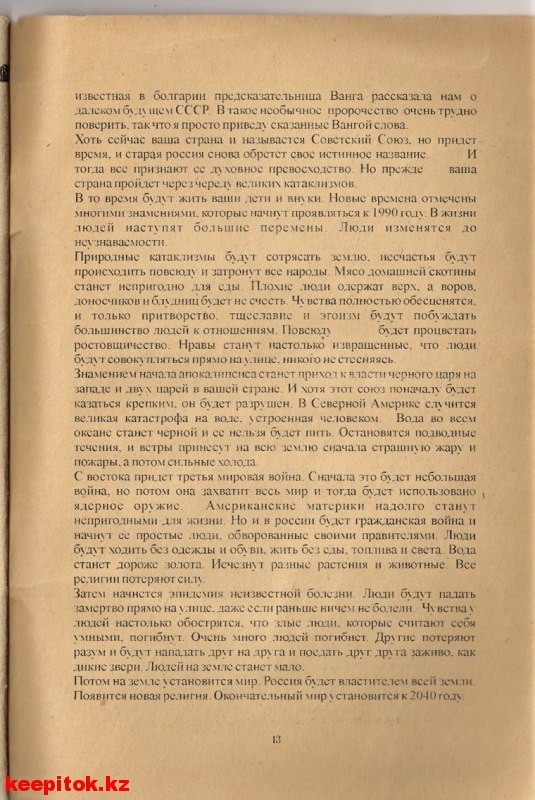 “In 20 years you will reap the first harvest” (1978): according to our knowledge (though yet unconfirmed), The Crossroads, the first book by A. Novykh, was first published in Moscow in 1998, and if this is so, Vanga was totally correct in this point as well, having indicated the right date. When God comes, a hard time will set in for non-believers. Potable water will remain in the mountains only. Christ will water people from a full jug, dry on the outside. Antichrist will moisten the jug from the outside, but it will be empty inside! “Christ will water people from a full (inner) jug”: this surely means the internal source, i.e. the human Soul. By means of the Lotus Flower ancient spiritual practice brought by “The Anointed Sovereign in white clothing”, one can easily feel what this is, what invisible spiritual satiation is meant. 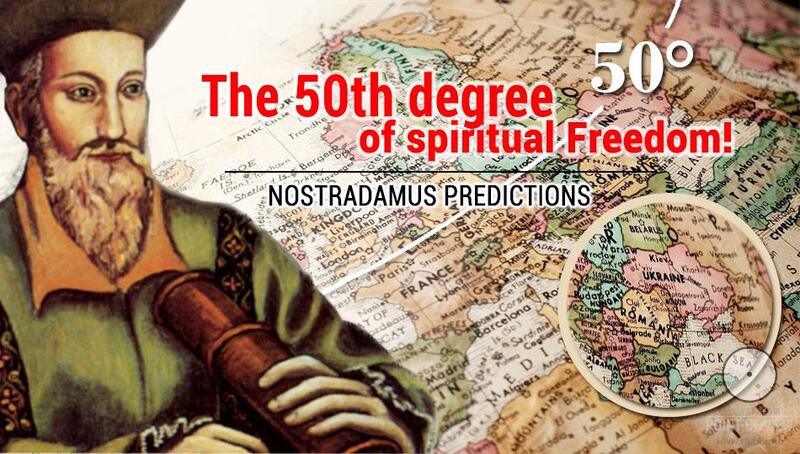 This prediction is a deep allegory understandable for people who possess the renewed Knowledge. Let’s once again refer to fragment 2:44:24 – 2:45:51 of The Meaning of Life: Immortality interview (see above). It’s impossible to behold God, unless the “inner source” is opened. This is the whole point of humanity differentiation between LIVING and DEAD. The latter part of humanity who ineffectively endeavours to perceive God via their consciousness will naturally resist sensory perception in every way possible. And we already observe this is the Reviews section, especially among Orthodox priests, some of whom are ready to rigidly defend an opinion that “God cannot be inside a human being” and “sensory perception leads to charms and delusions”. “…Him, Who is coming to the world again, as He promised”: the Gospel according to St. John 14:15. The Comforter, the Holy Spirit that was mentioned by Jesus Christ two thousand years ago. “The time of the Most Holy Spirit has already come”: this is a direct indication of the Holy Spirit time advent! By the way, this was confirmed by the Orthodox priest Father Sergey in the Unity programme. The time of miracles will come, and science will make big discoveries in the field of non-material. Scientists will reveal many new things about our planet’s future and the outer space. And they will draw such data from old scriptures. The scriptures will help people unravel many ancient mysteries at last. Time will come, and the wheat will be separated from the chaff, for the future belongs to good people who’ll be living in such a wonderful world that we cannot even imagine now. There will be the time of inspired labour, love and brotherhood of all people on the earth. The year 1982 will start shining in a new, good light. The earth will be inhabited by new souls, and some of them will manifest themselves. A brighter light will emerge in Jerusalem. People of not culture, but knowledge will come. The word Volga will appear and honour the planet. “The word Volga”: we dare to assume this may be somehow associated with the ancient name of Volga river – RA! This word in particular signifies the Sun God (Ancient Egypt). The time of miracles will come, many mysteries will be unravelled! Before that, humanity will go through numerous natural and social cataclysms and stormy events. Human consciousness will gradually change. Mankind is on the way to insanity, which will finish them. And all this is due to people’s thirst for power, their violence. How can this be possible that former criminals now rule people? Lies, perversions, godlessness, people’s aspiration for evil and resistance to good: all this will echo to us soon. It’s quite strange that her first insights relate exactly to a horseman. They “met” near the well, when Vanga came there to take water. The horseman warned her of the upcoming ordeals, of the war to start; he was the one who told Vanga she was to become a clairvoyant, to “foretell destiny to living people, hear and understand the voice of dead”. 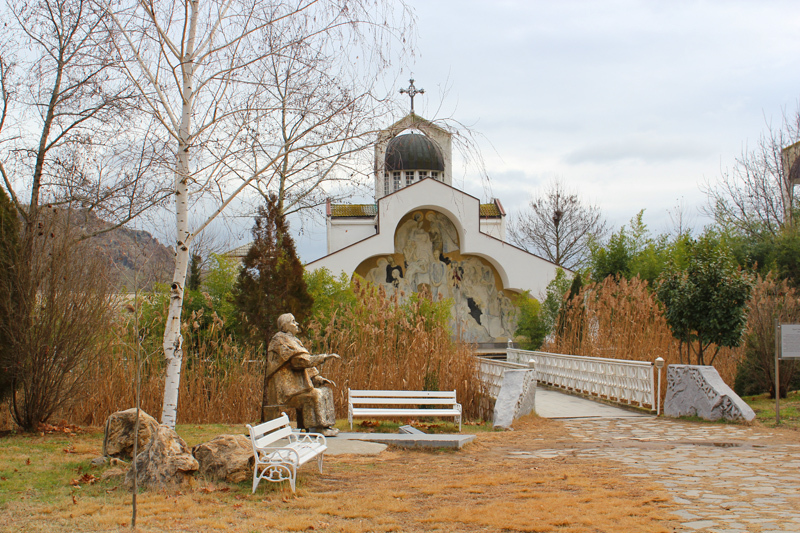 Their first “meetings” took place around 30 years ago, when Vanga settled in the valley. She’s not going to move to any other place. We, Bulgarians, are generally fascinated with legends where a horseman is a character. In fact, scientists still don’t know who and when carved a “portrait” on the rock, the historical name of which is the Madara Horseman (or Madara Rider). Experts believe Khan Tervel or another warrior of the first Bulgarian state is depicted on that rock. But I think this may be the horseman who once stood in the middle of a square in a wonderful city, and hundreds and hundreds of years later started appearing to our Vanga, usually prior to some crucial events. There is a mention of a “horseman” at the end of Sensei of Shambala (Book I) by A. Novykh, though we don’t assume any direct connection. Furthermore, we can recall Nicholas Roerich’s paintings with diverse images of riding horsemen. Summarizing our superficial research, we can state with certainty the aforesaid predictions by clairvoyant Vanga are in tune with the present-day reality in the context of the investigated phenomenon, i.e. the advent of the Teacher of humanity or the One whom common people call the Messiah (we won’t list all His names again here, dear readers). Well, obviously, a new page is added to our box of evidence. 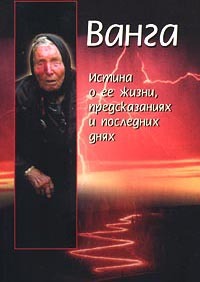 In conclusion we’d like to present photographs and several documentaries about Vanga’s phenomenon.